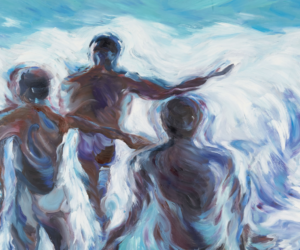 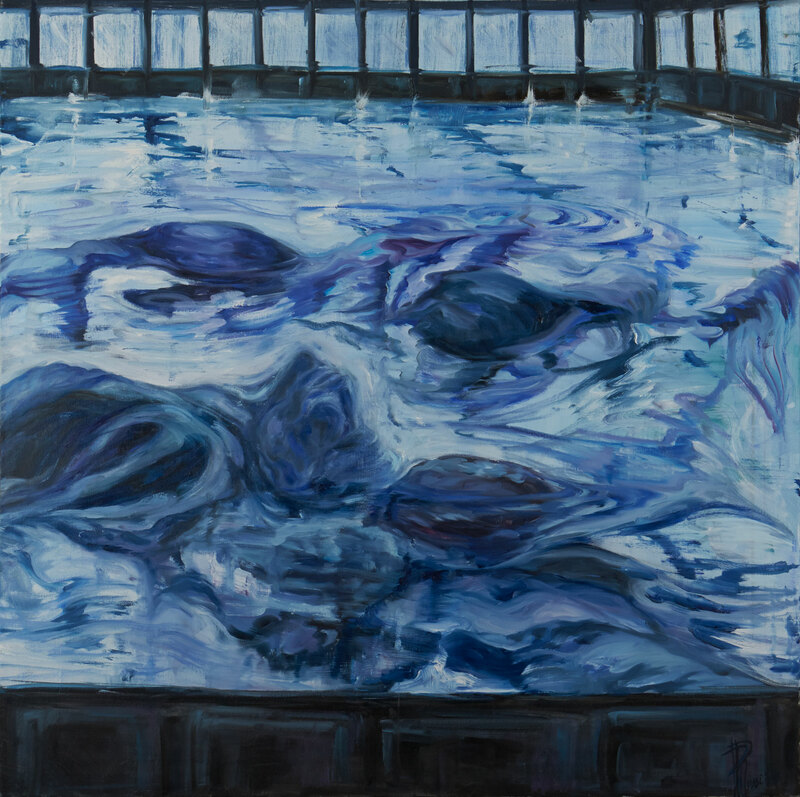 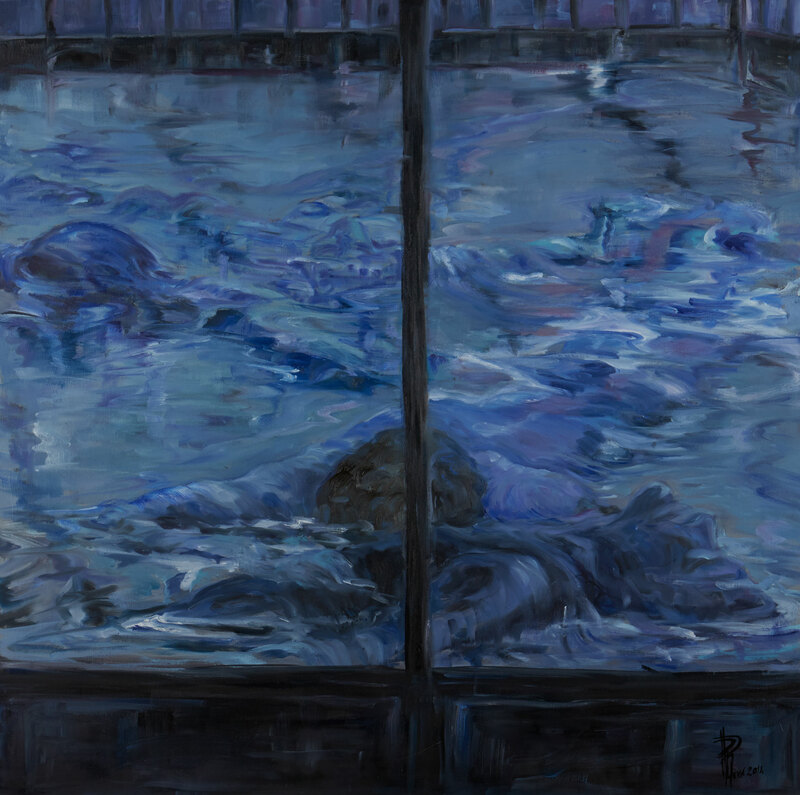 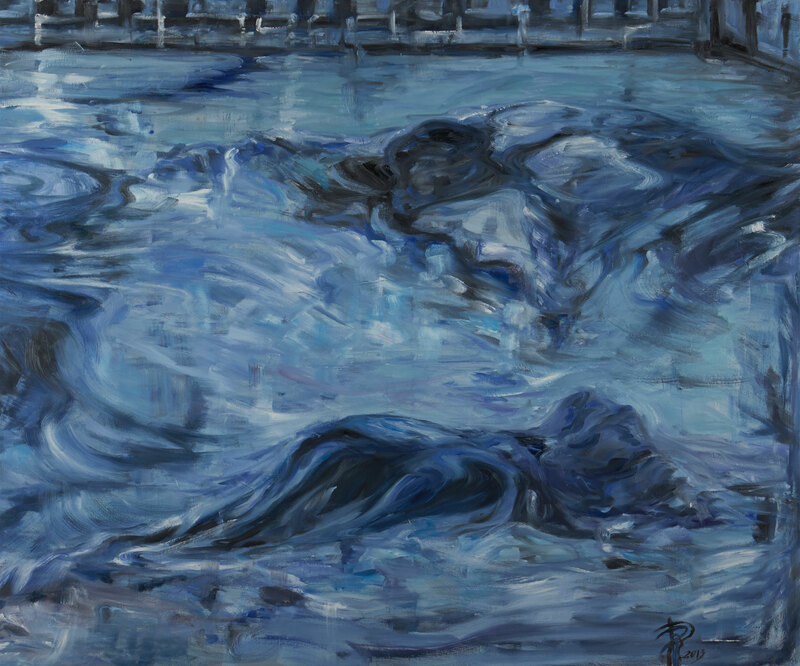 The series of paintings “Blu risonanze” is the encounter of human bodies in the water, but in this case inside urban pools where they seem to become prisoners of an artificial context. 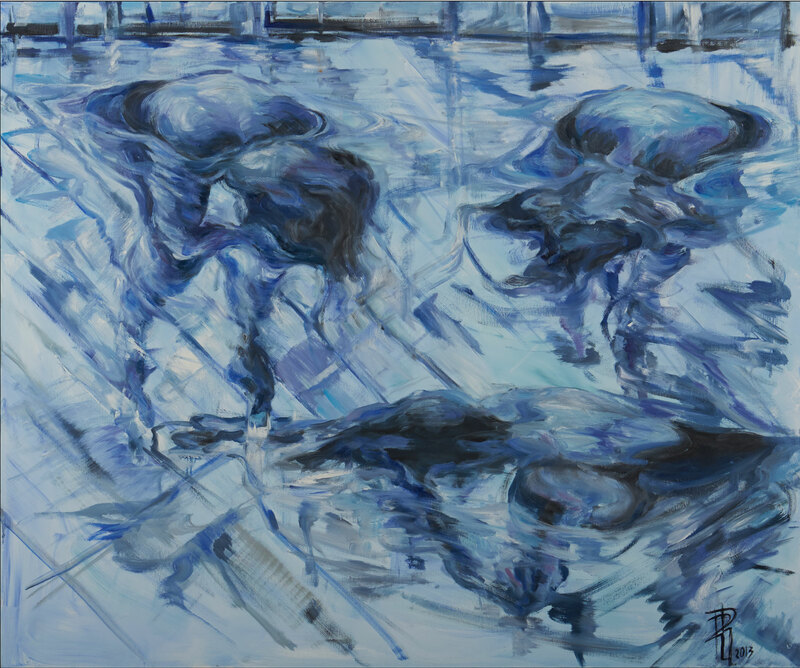 Thanks to the energy of the brushstrokes and the predominant use of the colour blue, the shapes harmonize with each other, conquering through water and movement their interior freedom, overcoming the physical and mental barriers within which they are found. 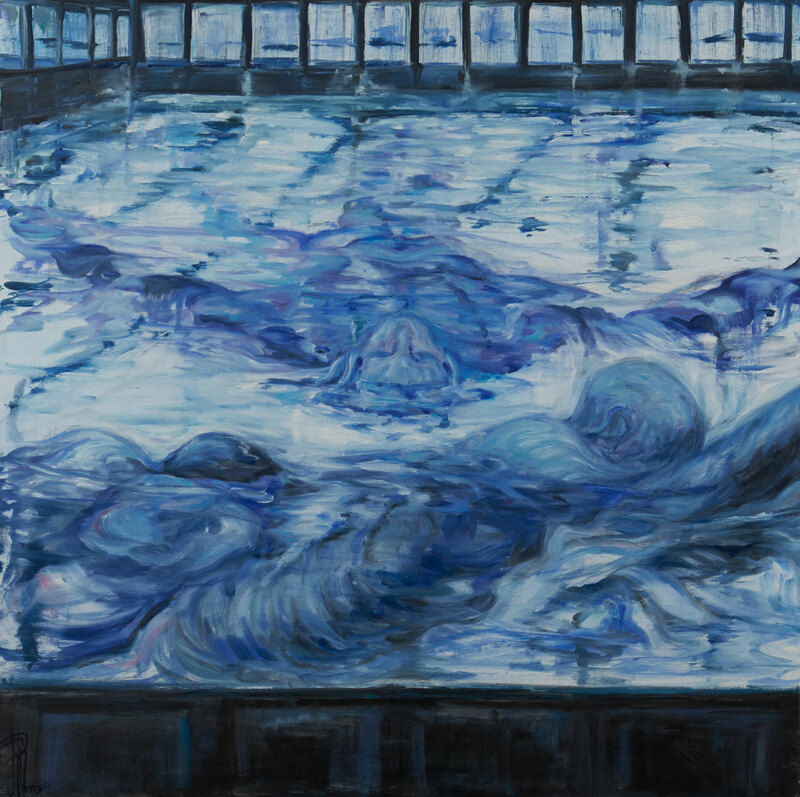 In this sense the pool becomes the metaphor of a world of limits and constraints and water a way of physical and spiritual freedom at the same time. 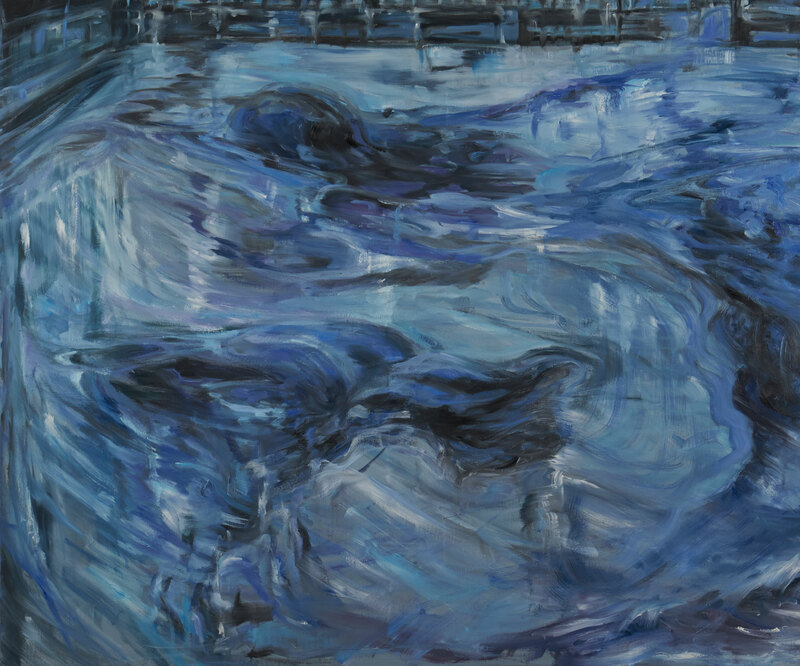 The blue color through all its nuances generates resonances and in the blue they are amplified and dissolve gently as a distant echo that resonates in the soul. 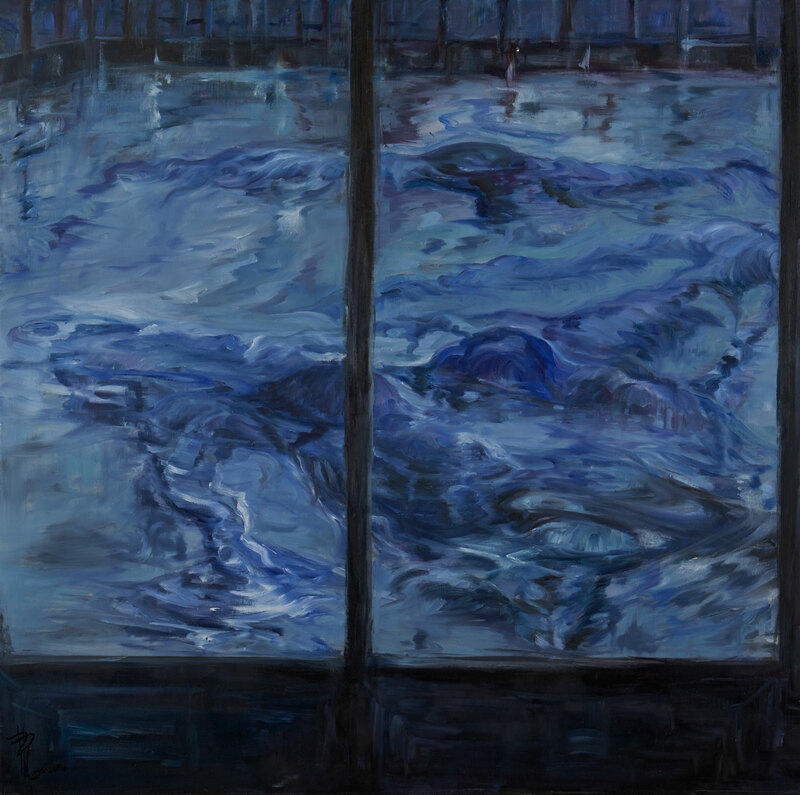 The choice of blue lies in its ability, especially in its deepest tones, to move away from the real context and project us towards a dimension without limits, infinite. 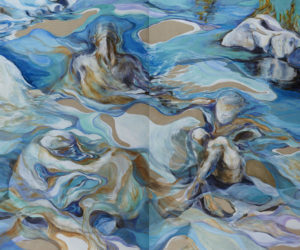 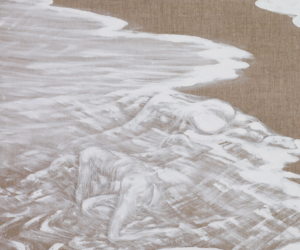 I imagine bodies losing their materiality thanks to water and blue and becoming souls moving in a space out of time. 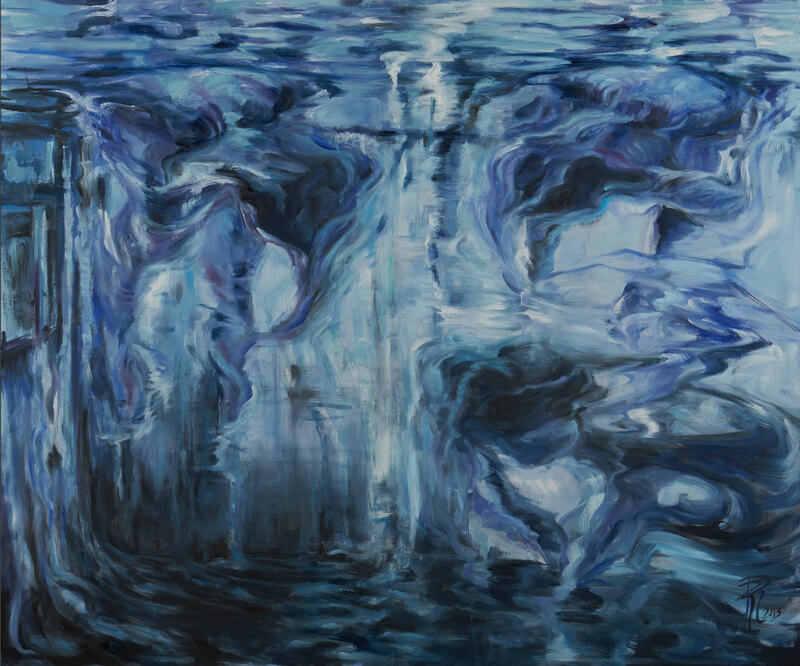 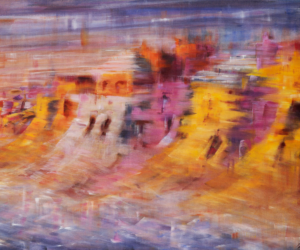 Through the somewhat magnetic atmosphere of these paintings, strong and sweet at the same time, I try to evoke the dimension of a universe suspended in space and time in which the existential questions that are in each of us are concentrated and summarized.